Escape the urban bustle at Scuba & Snorkeling and North Head Sanctuary. Shop till you drop at Sydney Fish Market and Queen Victoria Building (QVB). You'll find plenty of places to visit near Sydney: Katoomba (Canyoning & Rappelling Tours & Wentworth Falls) and Featherdale Wildlife Park (in Blacktown). 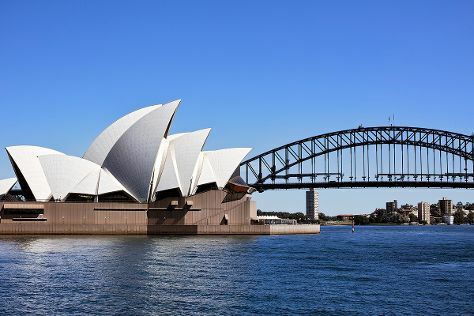 The adventure continues: appreciate the extensive heritage of The Rocks, look for all kinds of wild species at Muogamarra Nature Reserve, tour the pleasant surroundings at The Opera House to the Botanic Gardens Walk, and take in nature's colorful creations at Royal Botanic Garden Sydney. For where to stay, traveler tips, other places to visit, and other tourist information, use the Sydney road trip planning site . If you are flying in from Myanmar, the closest major airport is Sydney Kingsford Smith International Airport. In February, daily temperatures in Sydney can reach 31°C, while at night they dip to 23°C. Finish up your sightseeing early on the 24th (Sun) so you can travel back home.